Jambo! 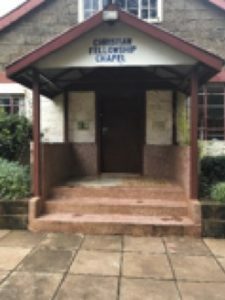 This morning, we were able to attend a church service held by Rift Valley Fellowship. The congregation of this church primarily consists of the women and children this ministry has rescued. 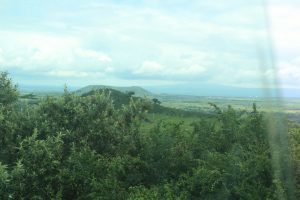 When we arrived, we saw everyone gathered under a tent, worshiping in Swahili. The people were praising God through song and dance, expressing an overwhelming amount of joy. We couldn't help but smile and clap along with them! 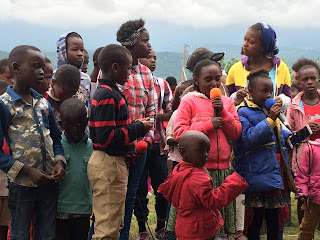 Rift Valley Fellowship wanted to include us in the service and asked for us to share a song and a few testimonies. We sang "In Christ Alone" and our teammates Noah and Courtney H. briefly shared their stories, which encouraged the people to be faithful and focus on God and the goodness he can bring. One of our team leaders, Jay, was also given the opportunity to give the message. He spoke about how God became man and experienced trouble on Earth just as we have. This encouraged us to know that we are not alone, and have faith in Him. After the service, we helped the staff of RVF serve lunch to the congregation. We served the food to the youngest first, and worked our way up to the adults. After lunch, we danced to music with the kids. It was so much fun to laugh and see their smiles. We were also able to reconnect with women whose houses we had visited this week! It was so good to further our relationships with them. 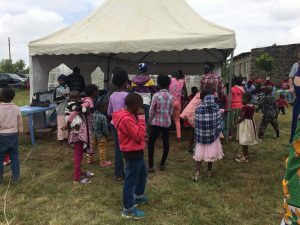 After this, the children went off to play activities, and our team gathered to hear the testimony of Joseph, one of the first boys RVF rescued. Joseph and his mother were kicked out of his fathers house after his parents divorced, forcing he and his mom to move to Maii Mahiu. This left them with no resources, leaving his mom unable to take care of him. Jospeh couldn't handle seeing his mother in such pain, so he left his home to go to the streets. On his own, Joesph would resort to stealing and eating out of dumpsters. This is a common situation for young children in Maii Mahiu, leading many down a dark path of addiction. When RVF first started up, they rescued him. 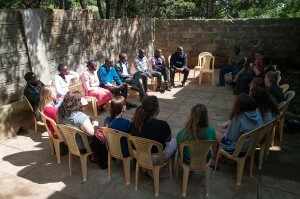 Through RVF, Joseph was fed, had a place to live, and was able to go back to school. Now, at age 23, he has one more year left of high school and is on staff for RVF as a caregiver to the current rescued boys. After hearing about Joseph's story, we rejoined with the kids. During this time, one of us talked to a girl not much younger than us. She told us how her family became Internally Displaced Persons due to violence among tribes. Even though she experienced a lot of heartache, she wants to use her story to start an organization helping people in other countries in Africa. A few other teammates circled up with a group of children, singing worship songs together. Hearing stories and praising God together was uplifting! 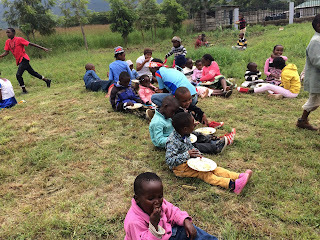 When we had to go, the goodbyes were difficult because the kids didn't want to stop playing, and it was the last time we would be seeing many of the staff and women of RVF on this trip. Even though the goodbyes were not easy, we cherished the moments spent with everyone and saw how God can bring such joy in everything.